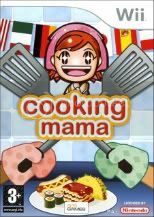 First, there was Cooking Mama: Majesco Entertainment's video game full of mini-games allowing the player complete the steps of recipes with the help of a cartoon lady. 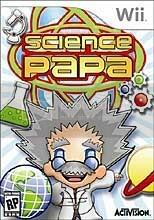 Now, meet Science Papa: Activision's soon-to-be-released video game full of mini-games allowing the player to complete the steps of scientific experiments with the help of a cartoon dude. The fact that these games are made by two different companies doesn't do much to soften the blow of yet another societal message that men are good at science while women belong in the kitchen. I am good at both, as can be seen in my meth lab! Hey, back off of my Cooking Mama! Clearly the second company would've called it Science Mama had they not feared getting sued by the Cooking Mama folks. It's interesting that they used a parental figure at all. I don't usually think of Mamas OR Papas when I think about science experiments. You think about Miss Fickes. So true! I think of her in her Mendel robe telling us all about genetics. PETA is 97% wrong. That is because more and more animals are being killed,including people. But if we don't eat meat we could die of no protein or iron in us. Yes,we need vegetables and fruits for vitamins,but meat is a way of survival. And the dumb thing is,they take people's pets away and then kill them. If you're killing them either way,why not use them for food instead of wasting them!Plus the animals are much happier being homed by good owners,because they get a chance to live,be happy, and have a home without worrying about survival. I am a big fan of cooking mama! Was one of my favourite games! That's a good news to all video game lover. I am very happy to love this game as well. I am sure that you must be happy to get the discussion as well. Thanks a lot! !